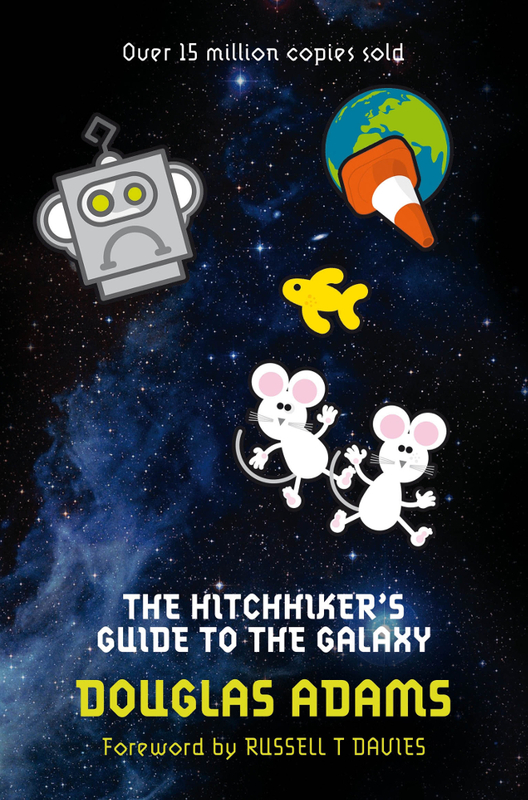 The Hitchhiker’s Guide to the Galaxy is a 1979 science fiction novel by English author Douglas Adams. I own a paperback edition published in 2009 by Pan Books. It comes with various stickers to customize the cover. The Hitchhiker’s Guide to the Galaxy is mainly set on spaceships and strange planets. I like how Douglas Adams describes the different spacecraft. They are easy to orient yourself on. What I particularly like, is the setting he created on the last planet in the book. It feels very realistic and a bit scary at first. The main character, Arthur Dent, is easy to empathize with, as he is human. The reader also sympathizes with him because he lost his planet. All the other characters are aliens, although you wouldn’t notice that if it weren’t for their looks. If you’d just open the book at a random page and read a random dialogue, you’d never guess that it wasn’t a conversation between humans. The Hitchhiker’s Guide to the Galaxy is an entertaining novel. Many very weird and unthinkable things happen throughout the book. The novel has an open ending which should probably encourage you to buy the next instalment in the series. Unfortunately, this ending is what destroys the experience. It comes too abruptly. I don’t think that The Hitchhiker’s Guide to the Galaxy is laugh-out-loud funny, but it is funny because it is weird and sometimes nonsensical. If you like that kind of stuff, you’re in for a treat. I also think you should be willing to read the other instalments in the series if you are planning on reading the first one. Have you watched the film, which is from 2005 (I think). I love it! Yeah, not everyone likes Adams’ humour, I love it! I watched the film first, too. Although they made a lot of changes I really like it. I think I need to watch it again. I haven’t seen it since then.